I've been a homeschooling mom for four years now, and I'm pretty convinced that people believe that makes me selfless and amazing and all-consumed with my children all at once. And I won't lie, I'm the first person to tell another homeschool momma that she totally rocks, because frankly, being around your kids all day every day CAN lead to some rough days and it takes a lot of patience. 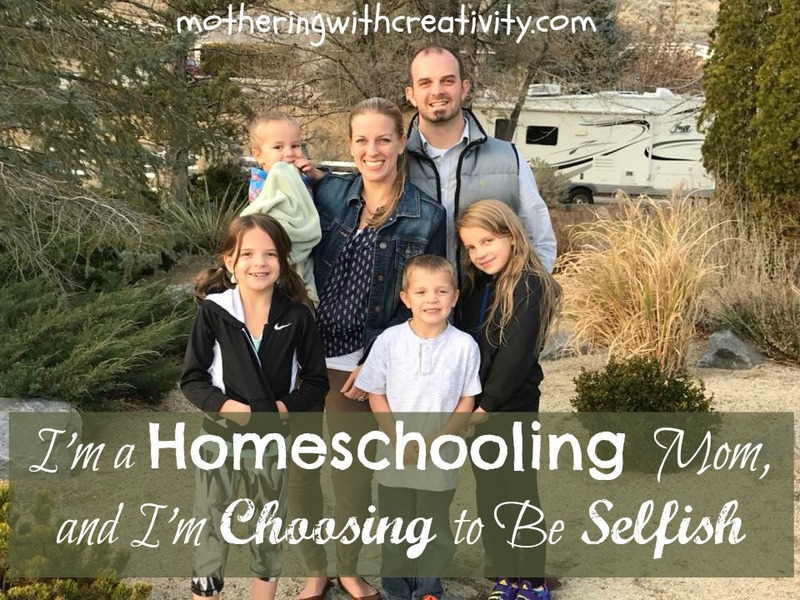 AND, it's true that there is a lot of selflessness in homeschooling-giving up any free time you might have had while the kids are at school in favor of schooling them yourself and having your little ducklings tagging along everywhere you go. It has its hard days. But the good days far outweigh them. I have four children. I've spent 36 months worth of carrying and growing humans inside of my body. I've spent an additional 62 months nourishing and nursing and keeping small humans alive through the use of my body (check it-that's 8.2 YEARS of humans relying on me to keep them alive and my body not being my own). Having a baby is an incredibly selfless act. It's hard. You have no space. You get "touched out" from having little people all over you all day. But it's also rewarding and such a blessing. A few months ago, I decided that with children no longer growing inside of me, being nourished by me, or even needing diapers changed by me, that I was going to be selfish. I was going to do something for ME. I was going to invest in them by investing in myself first. That I was going to give them happier mom by feeding MY soul, and not just focusing on theirs. I fell in love with a mixed martial arts program, and I also do fitness classes at the same place, and Brazillian Jiu Jitsu classes once or twice a week, too. I actually do a lot of classes each week now...all with my kids in tow. They are often there for 2 hours a day with me and another hour for their classes. They generally hang out on the bleachers next to the mats, and depending on the time of day, they'll do their independent school work, a craft that I packed for them to do, eat their lunch, or watch a show/play games on an iPad. The big girls help with Levi (3), and they really do an amazing job all hanging out together. 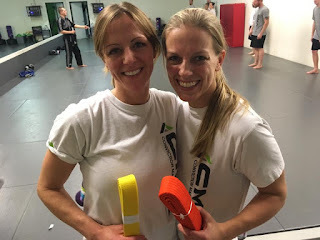 My friend Erin and I at our belt test! NEVER thought I'd be doing this as an adult! But you know what? I felt guilty at first. I felt like I was taking away their time (probably because the past few years have seemingly been all about them anyway). I felt like even an hour a day was far too much time for me to give to myself and let my kids be "bored" or watch a show. But the more I stuck to it, the more I discovered how much better of a mom I was to them. I was happier, healthier, and had new goals for myself to achieve. 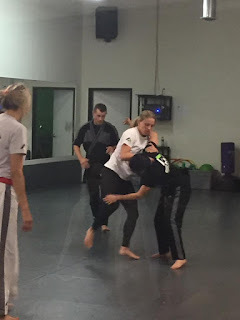 And the funny thing about this is that my five year old suddenly had a strong boost in his work ethic at martial arts. Suddenly he wanted to get to karate early. He had a million questions about how he can do things better. 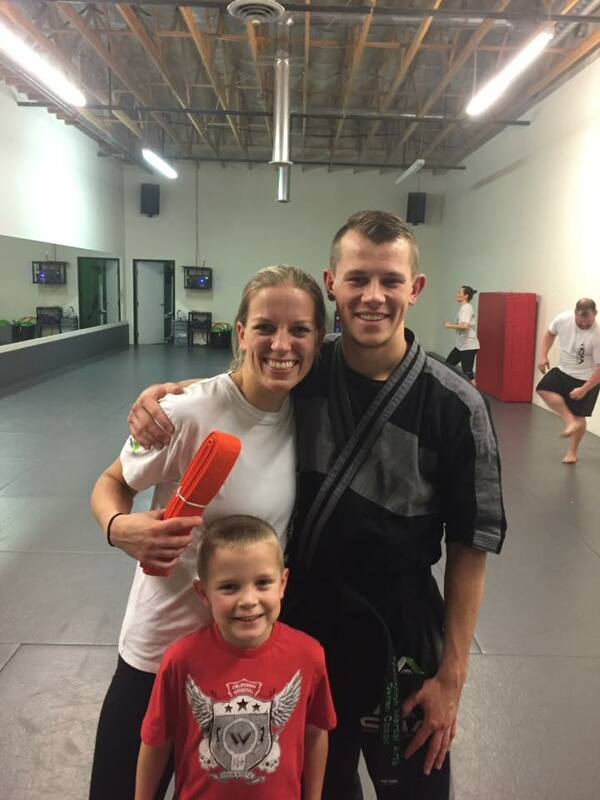 My dedication to my health had a direct impact on my child. It wasn't like at the "boring" gym where I'd drop them off at the childcare, do my work out in peace, and then pick them up. Here, they actually see me work hard. And it's making a difference in their perception of work ethic and who their mom really is as a person. It's not always easy. There are days that they are difficult or make poor decisions, and there are always times when I need to jump out of my class to take my 3 year old to the bathroom. I have to be flexible to help them, correct their behavior, or be there if they need me. But for the most part, they enjoy hanging out together and having their own "down time" to just chill and watch a show or get ahead on the day's school work. They enjoy sitting with other friends and talking or playing games. Not having me to entertain them has been really good for them. So, yes, I'm being selfish. No, I won't stop anytime soon. Yes, my children are well loved and cared for. No, our family life doesn't need to revolve solely around them. 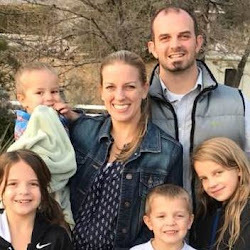 My kids' health is important...so is mine. I'm happy to show my kids that I care about my health in the same way that I encourage them to care about their own health. I'm leading by example. Belt Test #1: I'm still a baby in this world, but I'm a baby with an orange belt...so there's that. So for any other moms feeling guilty about taking time for YOU to feed YOUR own soul, (in whatever way that may look)...go for it. Figure out something that you love and refreshes you, and DO IT. Your kids will learn valuable lessons, and you will likely be a happier momma when you are caring for yourself as a priority instead of an afterthought. Homeschooling moms-your whole day doesn't have to be about the children. Real life is never only about ourselves anyway. Teach them to value caring for themselves and encouraging others to do the same. It's so worth it. Side Note: My husband has always been good at this. And I secretly was always bothered at him for being so "selfish" since I didn't prioritize myself like he did. Now, I get it. I totally get it. And I'm so glad for his sake that he figured it out long ago. Dad's need time for themselves, too. I should've followed his lead sooner!